Many homeowners in Tulsa OK want a beautiful home. In fact, most will call contractors for comprehensive roofing services and other “big maintenance procedures”. However, many will resort to DIY gutter cleaning — an endeavor many homeowners consider small yet fail at doing properly. If you do not want to spend so much in cleaning your gutters, then learn some gutter cleaning tricks the right way. 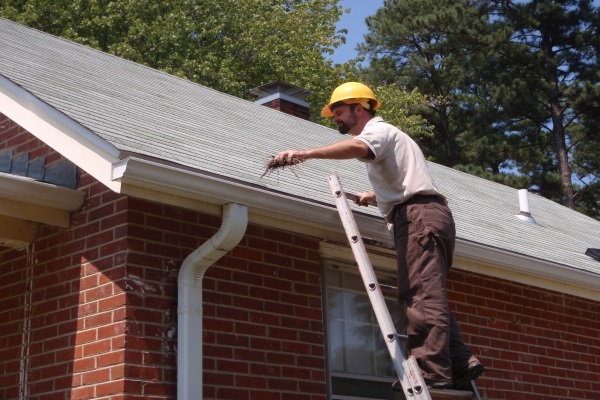 Now, you might think that it is difficult for anyone to clean their gutters. The truth is, DIY gutter cleaning from the ground is possible if you follow this instruction. In fact, it’s a necessary skill if you want your home clean and beautiful all the time. The average rainfall in Tulsa OK is about 42 inches of rainfall per year. True enough, this is sufficient to cake up debris in your gutter and downspouts. Therefore, if you knew these gutter cleaning hacks, then you can save money and your home too. Some homeowners think DIY gutter cleaning involves using improvised equipment. In fact, some are looking for ways how to make a gutter cleaner from a leaf blower. Avoid using improvised equipment and instead buy purpose-made equipment that yields efficient and proven results. Before starting on gutter cleaning, you’ll need the following DIY gutter cleaning tools. Additionally, these are effective gutter leaning tools for 2 story house too. Gloves: Always keep your hands safe and protect it from sharp gutter sections and clips. Gloves do that for you. Rubber Shoes: These materials have excellent grip reducing risk of slippage when going up and down the ladders. Sunscreen: The best time to do gutter cleaning is during the hottest days of the week. Protect your skin and not just your home. Bug Spray: You can include a bug spray formula in your homemade gutter cleaning solution to dislodge gunk and debris. Alternatively, you can use bug spray by itself to kill the mosquitoes and other insects living in the dirty pools of gutter water. Jet-Spray Garden Hose: Power-washing is part of cleaning both gutters and downspouts. Gutter Scoop: A specially-made scooper that can remove the gunk in huge chunks. It keeps your hands clean too. Brush: You will want to clean the smallest bit of debris stuck inside your gutters. A hard-bristled brush is the best way. Use it with a warm water-soap-vinegar-baking soda solution to loosen those stubborn spots. Ladder: The most essential tool for gutter cleaning. Never clean your gutters bare-handed just like this guy. This is a sure way to get yourself injured during the cleaning process. Before you can start cleaning anything, you’ll need to remove the cover of your gutters. These gutter covers are effective. However, after one or two years of full service, even the best gutters can loosen up and leaves and small debris will infiltrate the gutters. 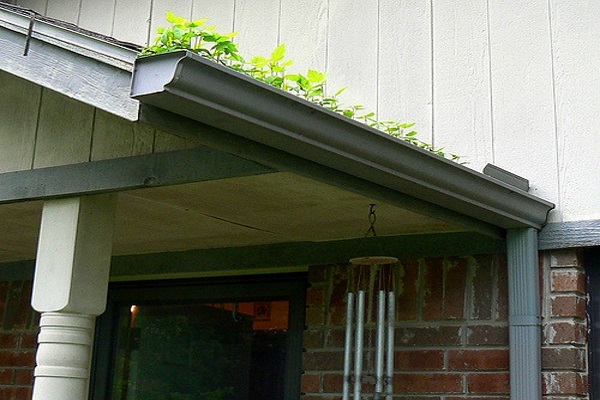 Even with gutter covers, small branches, leaves, soil, and dirt can infiltrate into your gutter systems. Once you’re done with the gutter covers, the next DIY gutter cleaning step is to remove standing water from your gutters. To do this, you can use your scooper to remove the water until a small amount remains. Then, wear your gloves and scoop out the remaining debris. In the process, you will encounter some muddied soil and sediments, dried leaves, dead small animals, and insects. Make sure you’re wearing your gloves at all times to protect yourself. 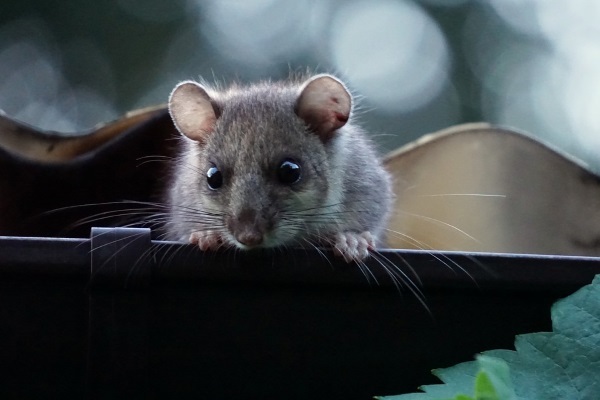 Small animals can get inside covered gutters too. You might find trapped and dead bodies of small animals when you clean, so be careful! Going forward with your DIY gutter cleaning process, you can start to loosen the remaining small debris chunks inside your gutters. Bring up the jet-spray garden house with you on a ladder. Then, spray the pressurized water against debris-riddled areas. As you do this, you can nail two birds with one stone by observing the waterflow in your gutter. If the gutter does not build up standing water as you spray it, then you’ve cleaned out the proper area. Otherwise, you may need to repeat the first two steps on other sections of your roof. Should you still find standing water after cleaning all sections, your downspout is the possible clogging culprit. Place your ladder right next to the rooftop opening of your downspout. Then, bring up the jet-spray garden hose with you. Next, start the hose and flush high-pressure water inside the spout. If the standing water on your gutter starts to ebb, then the clog in the downspout is crumbling. Otherwise, you may need to spray the downspout a little longer. If you are having trouble removing the standing water from the top side, you can jet spray the downspout from its bottom. Keep on applying pressurized water until the standing gutter water finally ebbs. Upon finishing your DIY gutter cleaning process, make sure to check for any loose gutter and downspout fittings. You can use screws, nails, and hammers to put them right back in place. 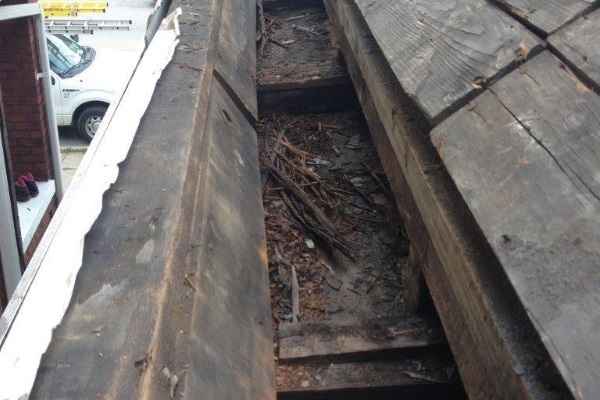 In addition, check for rusted gutter sections. In doing so, you can find out whether they’re in need of immediate replacement to ensure the efficiency of your gutters. Gutters might seem like a small portion of your home. True enough, the biggest mistake of most Tulsa OK homeowners is underestimating the capabilities of their gutter systems and neglecting its maintenance. Dirty Siding: Without gutters, sediments and gunk from your roof flow straight to your sidings making it dirty in the process. Flooded Lawns: Whether you have a regular lawn or garden, expect these to get mangled during a storm without proper-functioning gutters. Threat to Property Foundation: Soaked front yard soil will lead moisture into your basement. This is enough to saturate the concrete foundations and ultimately reduce the lifespan and durability of your home. If you can manage to DIY your gutter cleaning, these steps will definitely give you positive results worth the effort. On the contrary, these steps will take time to execute. In fact, you may need to provide one or two of your resting days to perform this chore. In case you lack the time and resources to clean your gutters, you can find a trusty roof and gutter contractor to clean and maintain your gutters for you. If you have yet to find a trustworthy Oklahoma-based roof and gutter cleaner, then you can depend on us at Ranger Roofing. We’re a decades-experienced roofing and gutter-servicing contractor in Oklahoma. Our experts can definitely help you repair or replace a massively damaged gutter system in no time.